High quality, professional shop front signs are an asset to any business. They attract new passing trade while promoting a positive image to existing customers. Whether you are setting up a new commercial business venture, re-branding your company, or want to update your existing shop sign, SignFX can help. 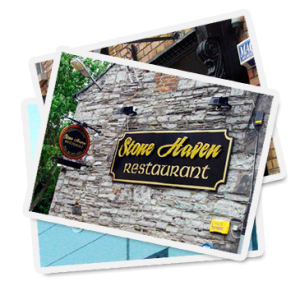 Established in 2000, SignFX has developed and grown to become one of the foremost signage companies in Ireland. Our high resolution, bright led signs are designed to create maximum impact, even during the darkest hours. Our full colour led signs will ensure you attract customers at any time of the day or night. The perfect way to make your sign stand out; our 3D lettering comes in a variety of colours, materials and designs. In addition to being a highly versatile medium for shop signs, vinyl graphics are extremely cost-effective. An attention-grabbing, colourful sign can be manufactured for a relatively small outlay. 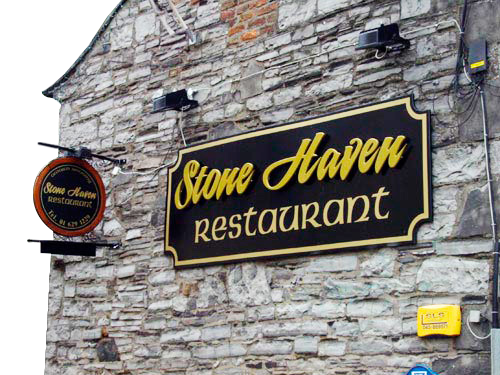 Durable, long-lasting and perfect to combat harsh weather conditions; engraved signs offer excellent value for money. At SignFX the customer is our number one priority; we will communicate with you throughout the design and manufacture process to ensure we produce the perfect shop front sign for your business. In addition to shop signs, we offer many other signage solutions, such as printed stickers, window graphics and safety signs for industrial environments. We also have many years experience in vehicle graphics. SignFX services are not restricted to shops and businesses; we also offer sign display solutions to schools, colleges and many other establishments. We also cater for conference exhibitions, display stands, etc.